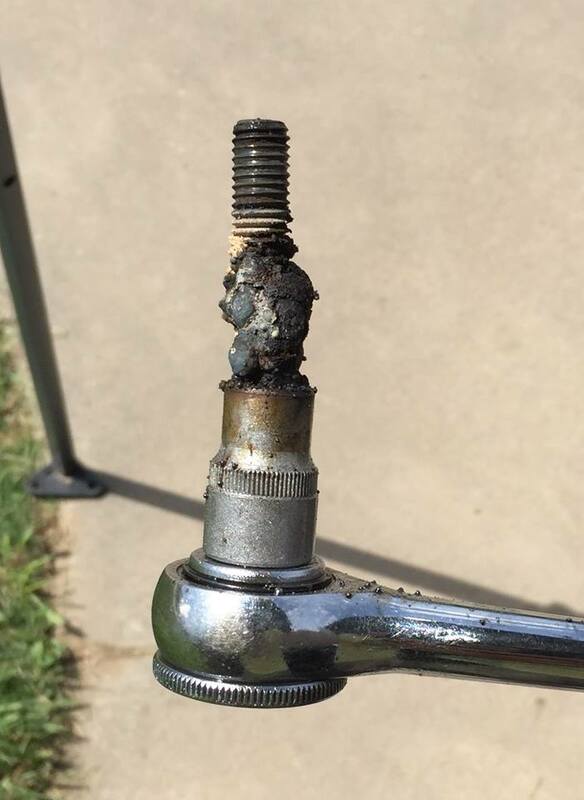 When last we spoke the poor ZombieWrangler was in sad shape with a snapped bump-stop bolt and no way to remove it. Well the answer has come in the shape of a wire-feed welder. 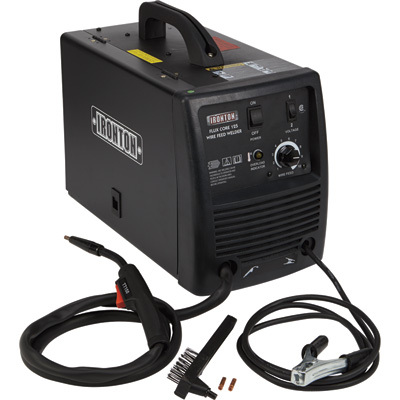 I picked up this little Ironton 120v flux-core hobby welder at Northern Tool & Equipment on sale for $120, yep, just $1/volt. 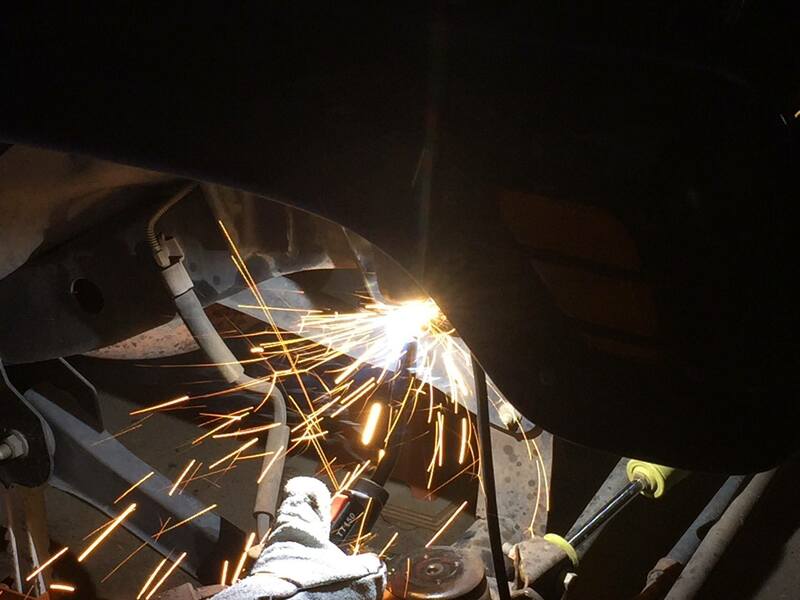 throw in some gloves, welding wire and an el-cheap-o welding helmet/mask and I’m still under $200 – less than a mechanic (or so I am arguing). 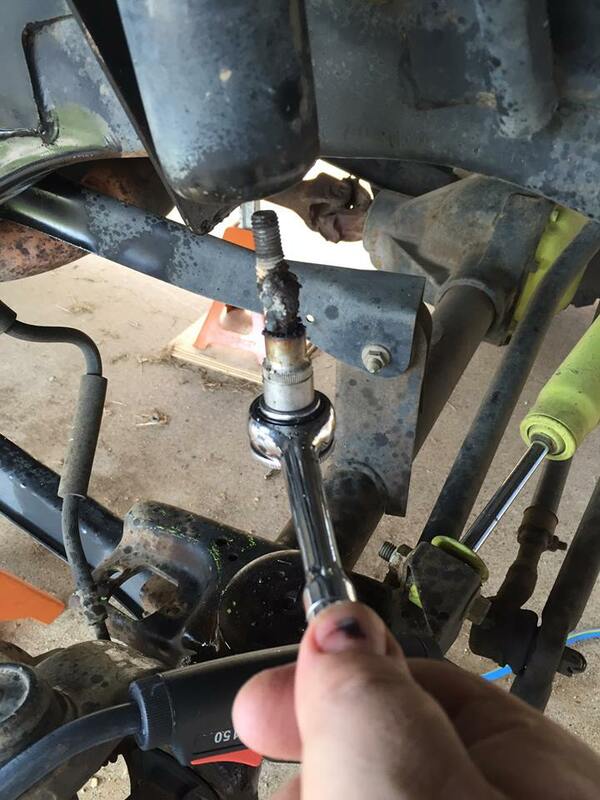 After making some tests and adjustments in welding I stuck an old socket over the bad bolt and fired it up. I also added a chunk of random steel plate across the joint on the back for a little extra reinforcement. Once it was all complete I doused they whole thing in break-free and gggggeeennntlyyyy turned it out and it came loose!! Was finally able to put Humpty Dumptey back together and am on the road again.